What error appears in the pcsx2 console window when the crash happens? The FMVs problem is known, use native resolution or software mode (F9) to watch them better. well, then please tell us, if there are any error messages shown in the console window of pcsx2. also, if you run the game as an image file from your hdd, try it with the game disc in your optical drive and gigaherz/peops as your cdvd plugin. Try with the latest beta, enabling "microVU" in there might help, also pressing the "defaults" button in the "config > advanced" options. 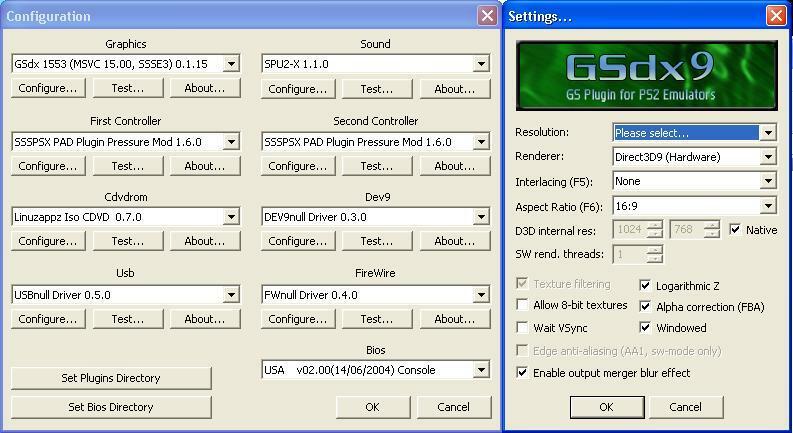 Try remaking the ISO and if you're running from disc try running it with another cdvd plugin or making a ISO of it, and also try changing your GSdx to an older one and changing the sound plugin. If you're using savestates try to load from memcard instead. i have the same problem but when i uncheck all the option on the graphics setting and on the advance setting on clamp mode i check full the problem is solved..
but it maybe have something to do with ur iso of something.. I have exactly the same problem occurring, the emulator crashed when i tried to go into the cabin or engine room in ffx x-2. can anyone please provide a solution? I have tried using Windows XP, same result, different version of emulator (pcsx2 0.9.6, pcsx2 0.9.7 r2661, pcsx2 0.9.7 r2716, pcsx2 0.9.7 r2711 and etc), same results. I have also tried many different settings, clamp mode: full, ZeroGS or Gdsx, uncheck or check the settings, native resolution, hardware or software modes, microVU or superVU, many experiments, using ISO rather than DVD, changing plugins. i have read another article saying that this is caused by bad pnach file, i disabled the patches, but i still get the crash.